Please place your order according to the amount of items you are ordering. If you are ordering fewer than 11 items, place your order in the Retail area. If ordering between 11-30 items, place your order in the Wholesale category. If ordering more than 30 items, place your order in the Distributor area. Incorrect orders will be cancelled. Colors: Black, Blue, Red, Tan, Green and PINK (just arrived). Also available in bulk lots. Call 434-946-5464 to order bulk, saving $ on packaging costs. Video of Miriam Fields-Babineau acclimating a dog to application of the Comfort Trainer Head Halter. 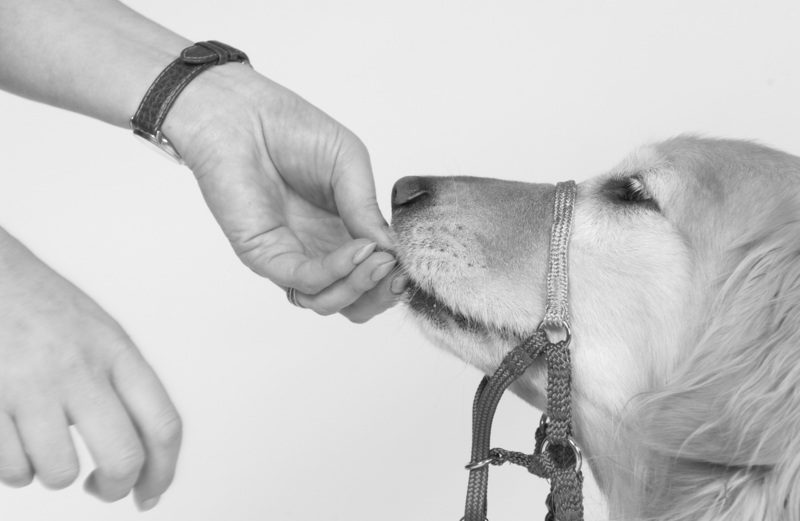 This method teaches dogs to easily accept and even aid in the application, using positive reinforcement methods. This is how it should fit on your dog. The Comfort Trainer is sized by the dog's weight. All orders shipped priority mail. For a limited time! Purchase the entire training program for only $99. That's a 10% discount off of all products in the program. 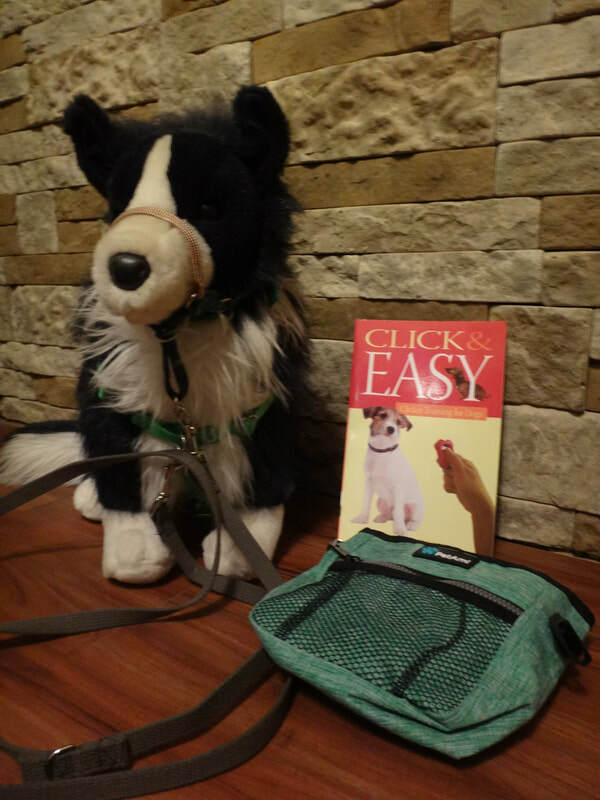 The training program includes a Comfort Trainer Head Halter, Freedom Harness, Double Clip Lead, Treat Pouch (with a water bowl and poop bag dispenser), and the book Click and Easy: Clicker Training for Dogs, which describes how to train your dog using positive training techniques and how to use both the Comfort Trainer and Freedom Harness. Click on link at bottom of this page to view how-to videos on training your dog using these products. Click here for more info and to place an order. 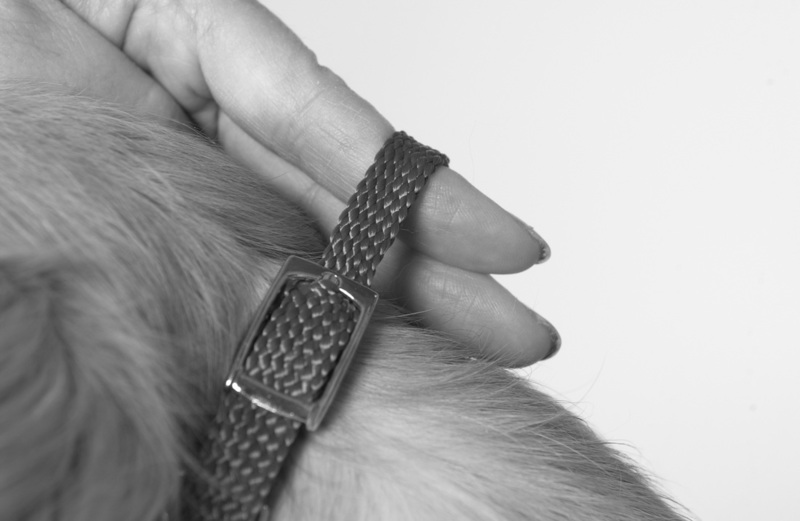 ​When working with a highly reactive dog, use both the Comfort Trainer and Freedom Harness together. This gives you "power steering" to aid in teaching your dog to focus, without having to use forceful methods. Training tools, such as the Comfort Trainer, are not life-long restraining devices. They are to be used when training your dog and then phased out. The below video addresses how to begin with this process. 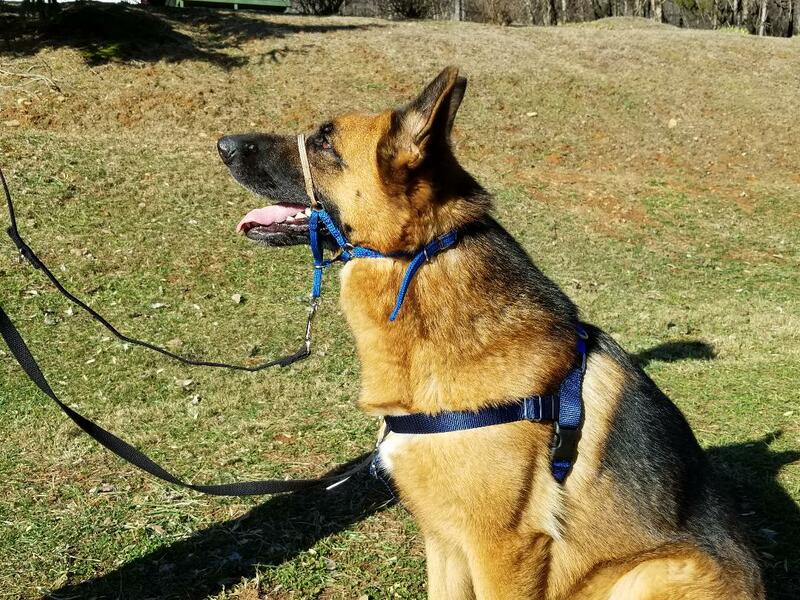 The end result is a dog who works well using only a front connecting harness, such as the Freedom Harness. 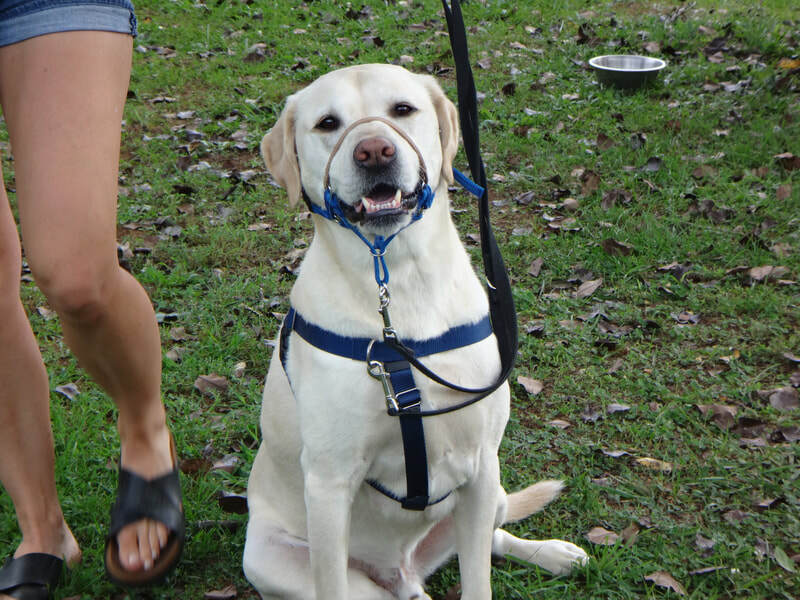 To view more training videos, using the Comfort Trainer, and Miriam's Gentle Dog Training Program, click here.